For a printable menu please CLICK HERE. You may provide your own cake or cupcakes, however no other outside food or drink is permitted. ll food and drink must be provided by Pump It Up. If you wish to provide your own food or drinks, a $75 outside food fee will be charged. 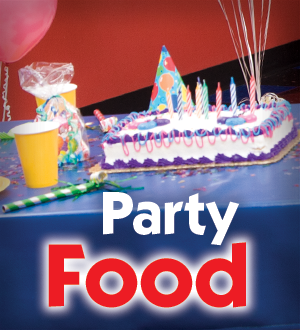 It's time to plan the kids birthday party of the year at Pump It Up of Frederick!